Thank you once more, Massimo. I am uplifted. Thank you Massimo. Some parts of this article has bought me to tears. I still remember vividly thinking about suicide just before listening to those words from my audio book : “living is a kind of bravery “. At the same time, I can’t help but wondering how Lucilius’ parents thought if they knew their son didn’t listen to them as to what to pursuit. I mean, say what if Lucilius’ mother made him promise when he was younger that he’d consult her for everything he did, wouldn’t they have a huge disagreement after Seneca’s letter? If Lucilius decided to not tell his mother what he was up to, because he was an adult who could look after himself, wouldn’t he be breaking his promise? Is breaking a promise against virtues? I’m glad you found the essay useful. If Lucilius decided to not tell his mother what he was up to, because he was an adult who could look after himself, wouldn’t he be breaking his promise? Is breaking a promise against virtues? 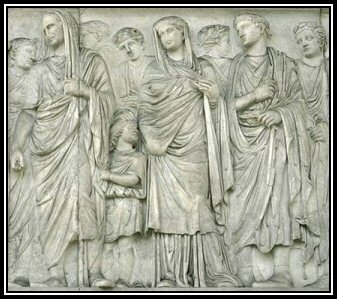 The Stoics maintained that moral developments begin, but does not end, with the family. The goal is to become mature, independent moral agents. So, yes, a promise Lucilius may have made to his mother when he was not mature may need to be broken. Generally speaking, keeping promises is virtuous, but virtuous ethics is also sensitive to circumstances, and if the circumstances change significantly, then the moral agent is bound to revise her position accordingly.